Recommended Reading for Coaches: What Matters Now by Seth Godin & Friends. Get the Free Ebook. Seth Godin, the best selling author who coined the phrase, 'relationship marketing', invited 70 other thought leaders, such as Chris Anderson, Kevin Kelly, Martha Beck, and Tom Peters, to each write one article based on one word. It's available as a free download now. And of course it's not just for coaches, but I highly recommend it to anyone who is interested in coaching. 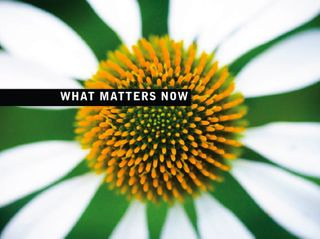 Download What Matters Now for Free. Great fallout from the Best Coaching Blogs Contest continues to roll in. The contest had a few bumps, but in the end, there seem to be a lot of pleased coaches. 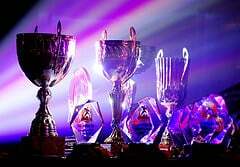 Of course, a few people were disappointed that they didn't win, but most were philosophical, since their blogs picked up new readers and subscribers. They should have! The contest page received over 30,000 hits in two months. Marian also mentioned that quite a few of the contestants' blogs were included in a list of 100 Best Life and Career Coach Blogs, right along side of Tony Robbins and Martha Beck. Not too shabby! I was please that Mastery Coach Exchange, SCM's own social networking site for coaches, was included in the category called, 'Best Communities for Coaches', along with the IAC, the ICF and a few others. "Coaches or someone just looking for a coach will enjoy visiting this Facebook like site. In addition to the groups, forums, and blogs, there is also a special section for becoming a coach." One of the cool things about the web is that it catches us doing good things and creates a ripple effect that can keep expanding for years. I hope this contest continues to expand success for all of the contestants. Thanks Marian, for passing this on!